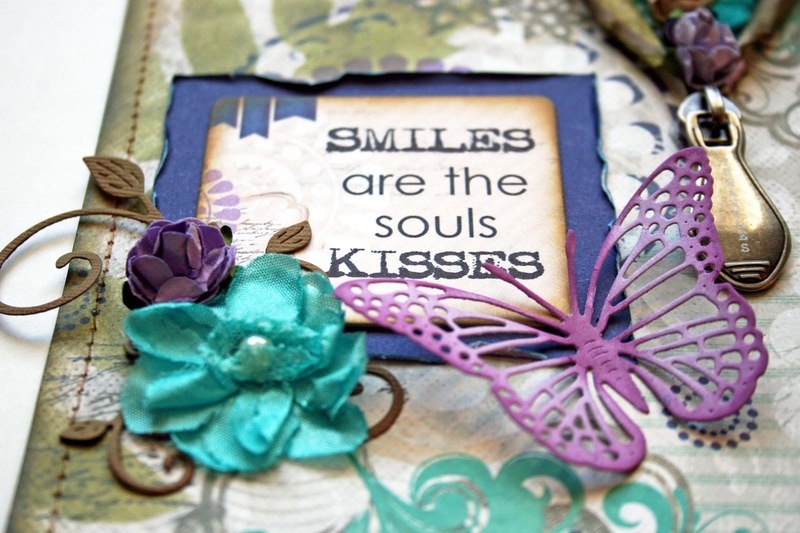 Hello Quick Quotes friends. 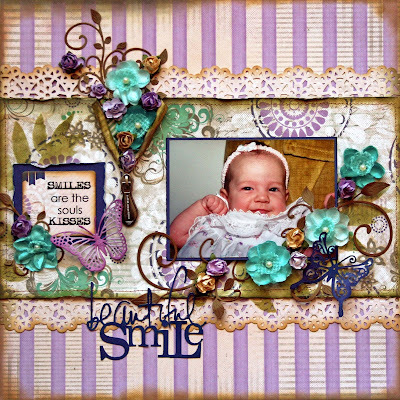 Marcia here to host the blog today and share a layout I made with the gorgeous new Dusty Road collection. My baby here turned 21 this past week and I've been feeling nostalgic. I came across this picture of her as I was looking through my photos and knew the Dusty Road papers were perfect for it. The chipboard stickers in this collection are amazing! I love the lavender color with the cream and green. It makes me think of a garden. I am really wishing it were spring here in Minnesota. Brrr, it's been cold! I added green leaves to my background with some Green Tea Powderpuff ink and applied inks to the edges of my papers too. The inks help to hide the white core when die cutting too for my butterflies and title. I even inked the edges of the chipboard sticker quote. It gives it a little more dimension and makes it pop. Stay warm and have a great week everyone! Marcia... this layout is amazing!! 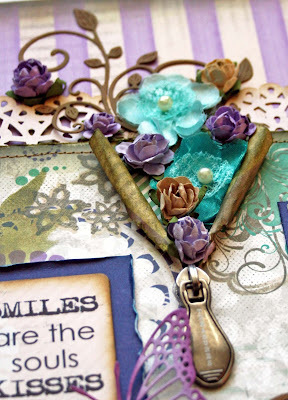 I LOVE the purple and teals and the way you clustered the flowers! The little cutie in the photo is precious! Marcia, these colors are so amazing and perfect for your photo of your dd when still s wee babe! Loving the butterfly cuts as well .. need to pull mine out! What an adorable photo and you showcased it so beautifully with this collection. This is so gorgeous! Love the colors and the design!! Love the colors this is really well done. This is such a beautiful page and memory! I love the soft pretty feel of this!!! Gorgeous page! 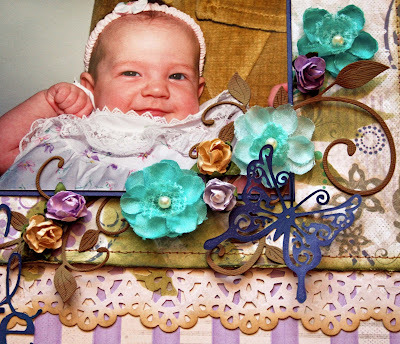 Your embellishment clusters are beautiful! 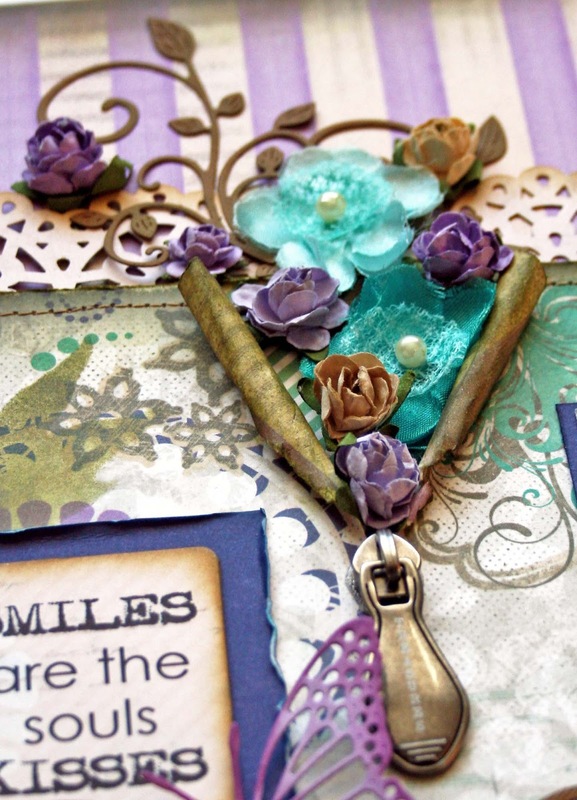 Gorgeous, gorgeous layout, the colors are so pretty!